Chukkala Amavasi, or Gouri Vratam, is observed on the no moon day (Amavas) in Ashada Masam mainly in Andhra Pradesh and Telangana by some Hindu Telugu communities. In 2019, the date of Chukkala Amavasi is August 1. An observance dedicated to Goddess Parvati known as Gauri Vratam is observed on the day. Married women perform Gowri Vrata for a happy married life and unmarried women for good life partners. 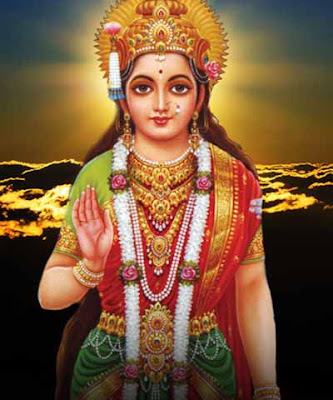 Women perform special pujas dedicated to Goddess Gowri on the day. After early morning bath, women start the puja by offering prayers to Lord Ganesh. An idol of Goddess Gouri is made from turmeric paste and 16-steps of pujas are offered. A sacred thread is worn by women on the day after special pujas. In some regions Gouri Vratam pujas is performed as a community puja. Women exchange the puja threads. A type of dough balls is prepared on the day and is offered as Prasad. In Karnataka, Gouri Vratam is known as Bheemana Amavasi Vrata.